They have been around for 18 years now and they are still delightfully subversive and not at all PC. 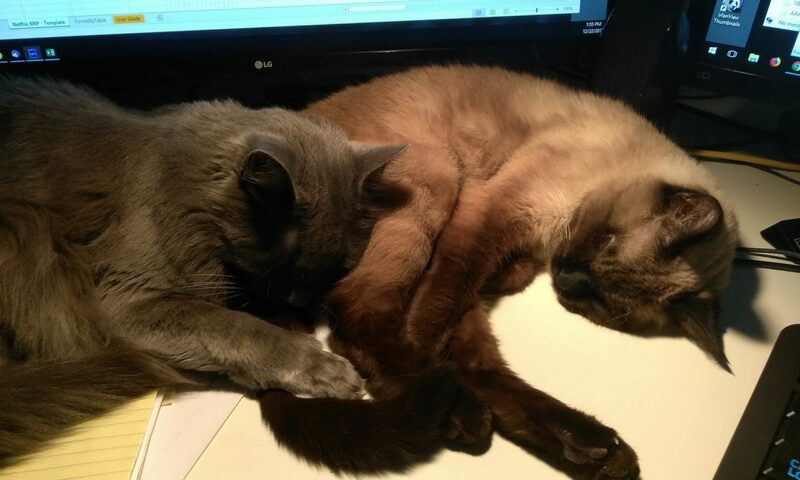 Although they do look slightly better kempt and less grumpy than in the beginning, they certainly are as dysfunctional, funny, yellow-skinned and in one instance blue-haired as ever. 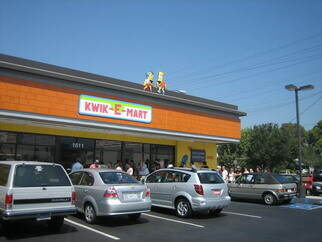 With the first feature film coming up, part of the promotion for said film was the introduction of 11 Kwik-E-Marts all over the US (with one in Canada). As this promotion runs for one month only, a quick trip to Burbank to one of the sites was in order. Good job, I must say. 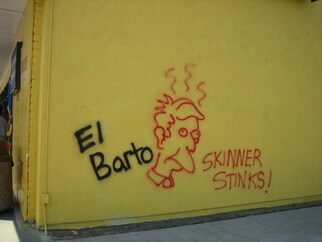 But my favorite is the grafitti. It is so, so Simpsons!